Melissa & Doug Plush Giraffe Set Only $45.99! Down From $100! You are here: Home / Great Deals / Girl’s Boots Only $11.99! Down From $55! 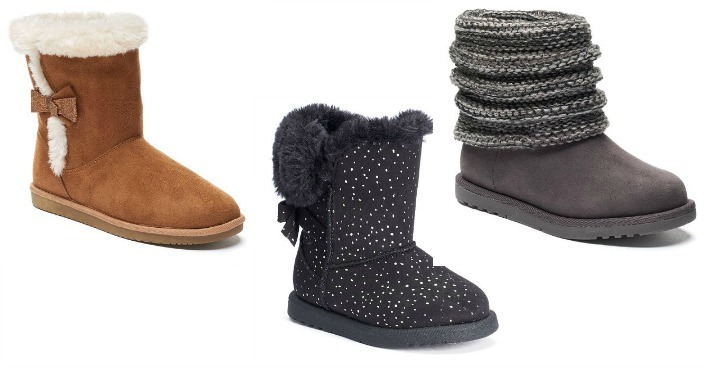 Girl’s Boots Only $11.99! Down From $55! Kohl’s has these Girl’s Boots on sale for $14.99 (Reg. $55) but you can get them for only $11.99! Be sure to choose to pick up your order in-store to save on any shipping costs or you’ll get FREE shipping with any $75 order.